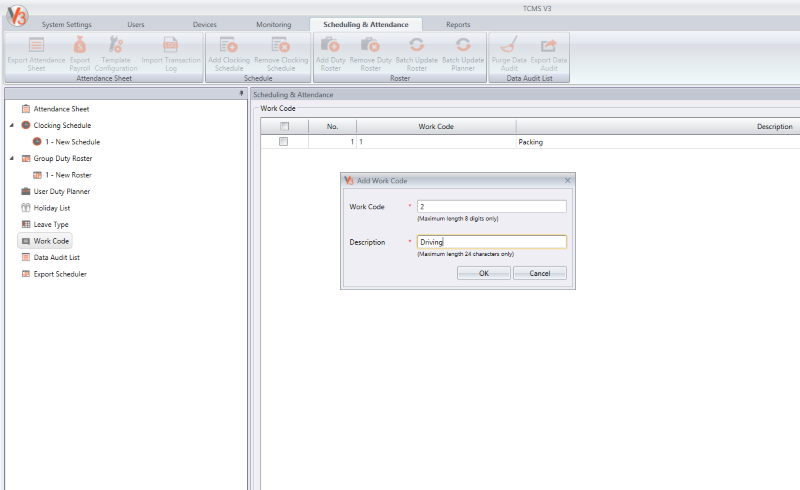 Fingertec's Ingress is an integrated access control management application that turns on the familiar MS Windows operating environment. 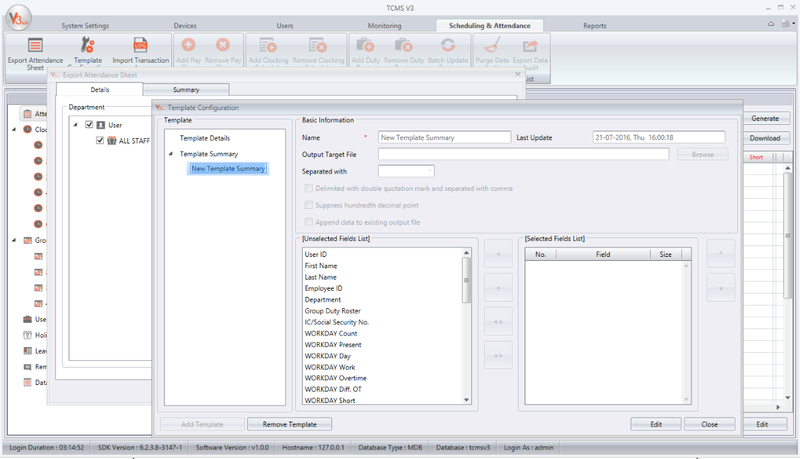 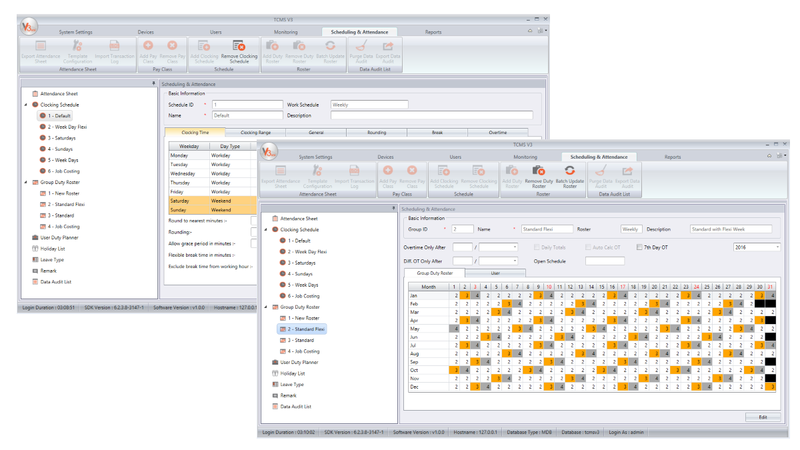 The software is a complete solution for centralizing, managing and monitoring door activity in Fingertec access control devices. 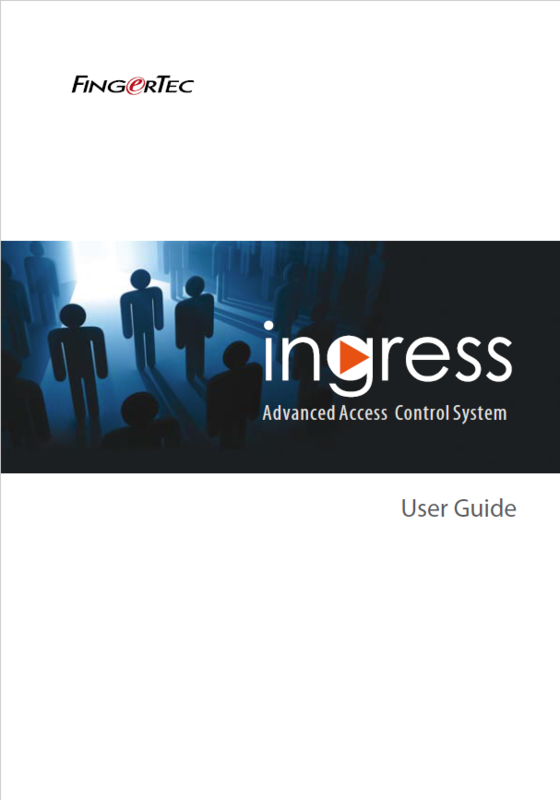 Ingress is an advanced, easy to use, and IT-friendly software that provides elaborate access control features such as real-time monitoring, database administration and report management, all in a single unified system. 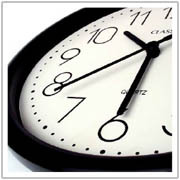 Ideally suited for self-managed organizations of below 100-door environment. 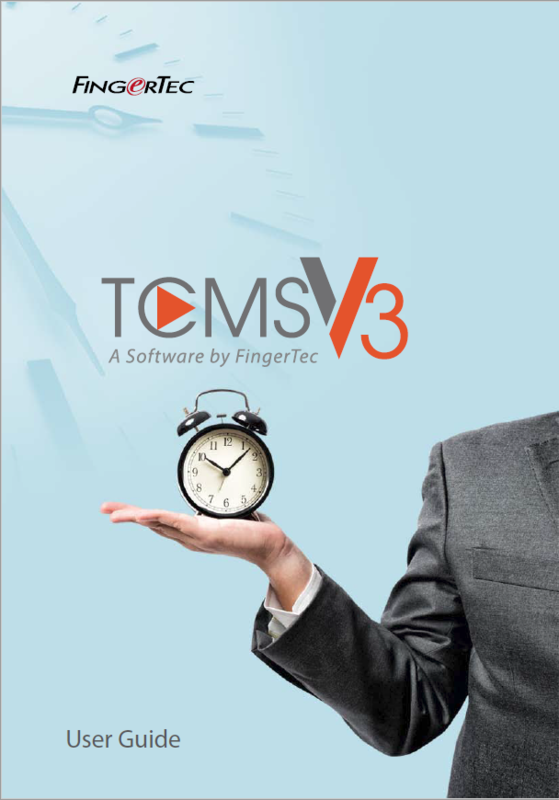 Useful time attendance features such as weekly schedules, group & personal duty rosters and holiday settings are available, complete with 18 important attendance reports, such as daily attendance listing, and tardiness report. 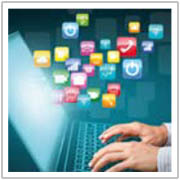 Public and private messages can be set in Ingress to smoothen communication within the organization. 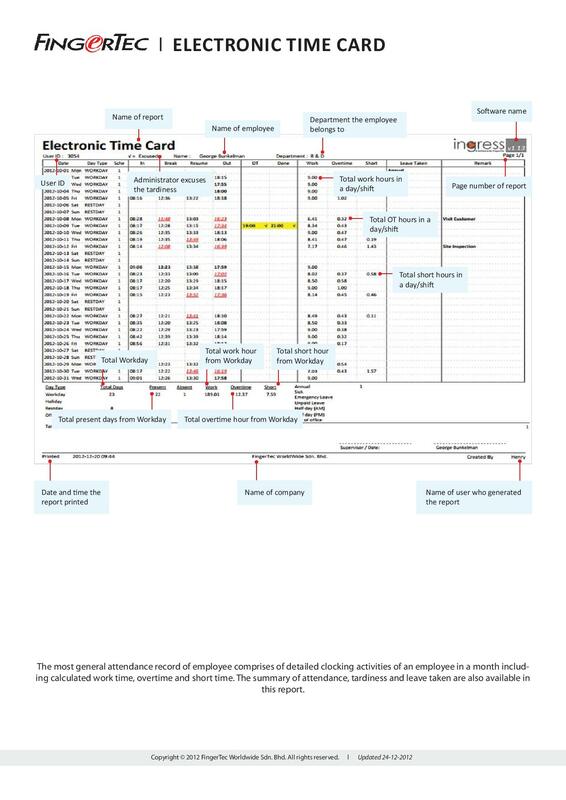 Broadcast the message to everybody or send it to only selected employees, viewable when they verify their credentials at the machine. 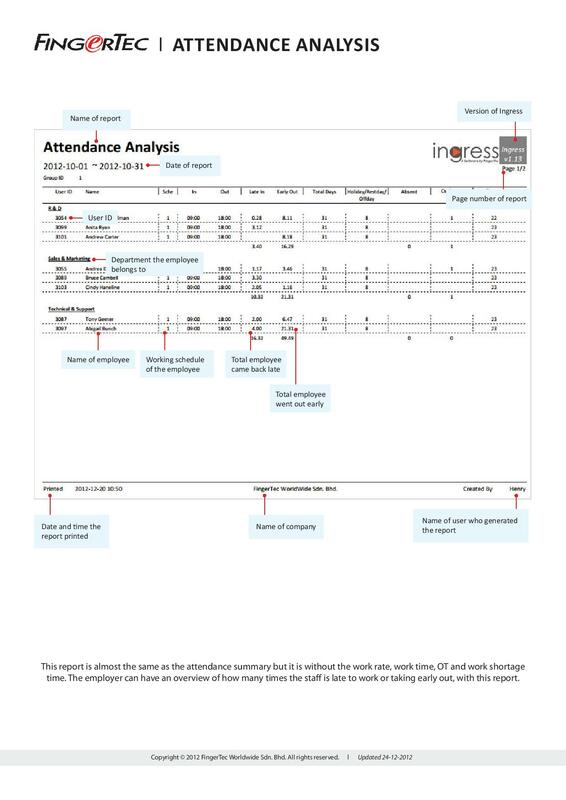 Ingress includes many useful reports to better your security and business. 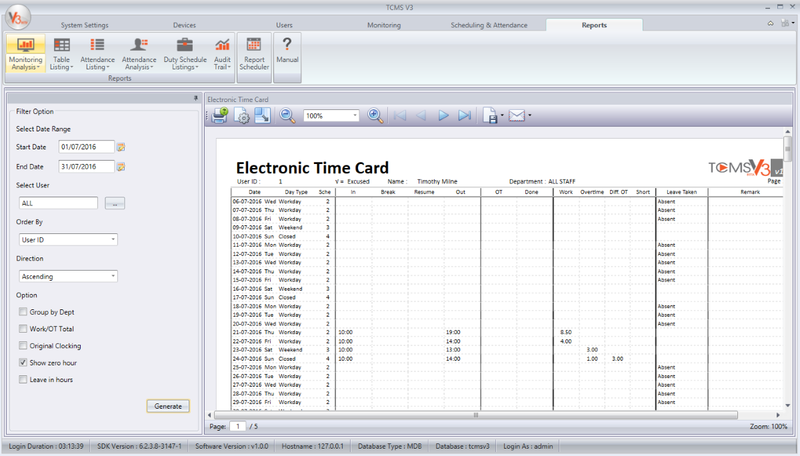 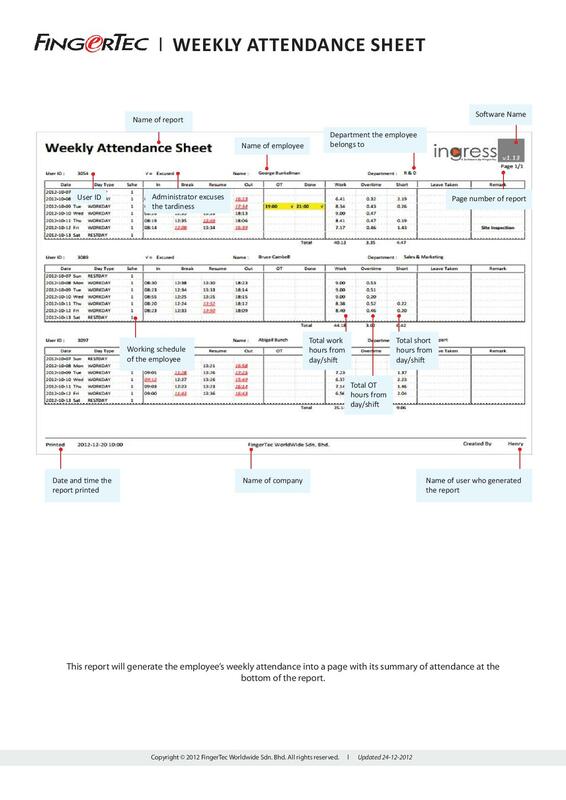 Reports include Time Cards that can be printed for staff to show them what their attendance is. 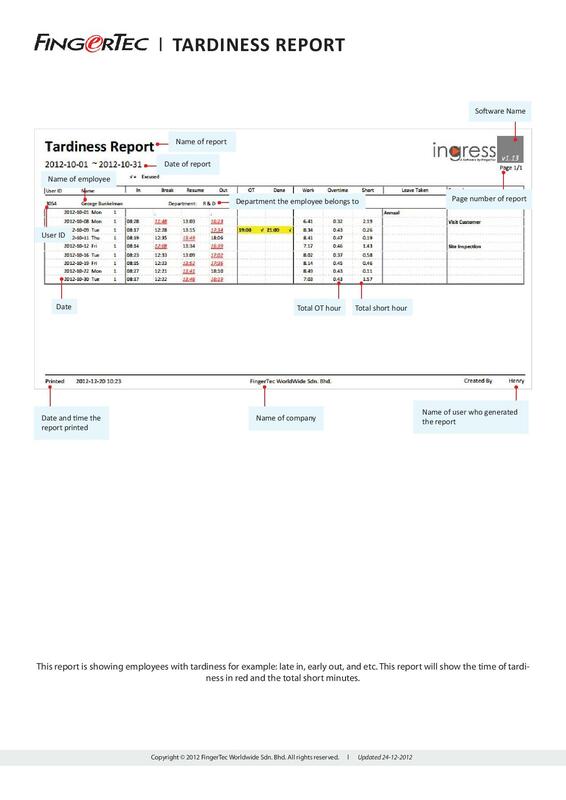 It also includes Tardiness reports to show you how often employees are late and leave early, if they come back late from lunch and what days they have been away. 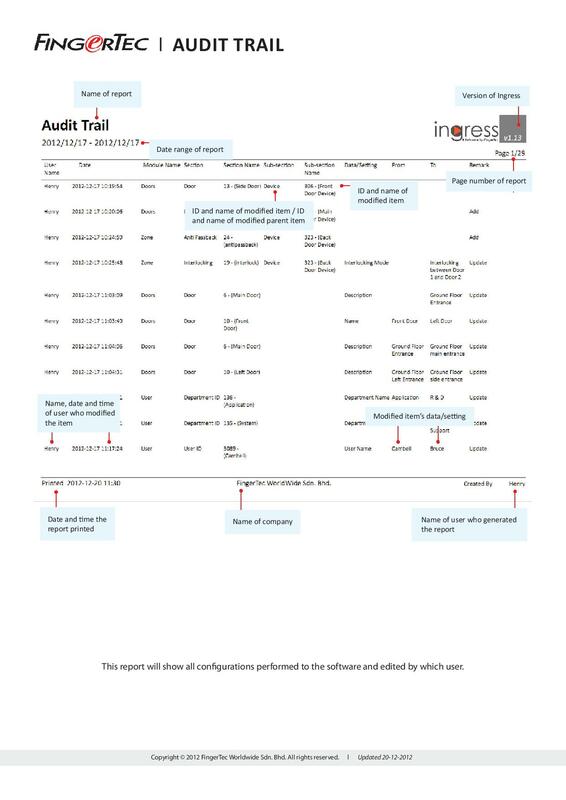 Ingress keeps data secure and accessible by providing in-depth activity logs and audit trails detailing the user activity and operation complete with its timestamp. 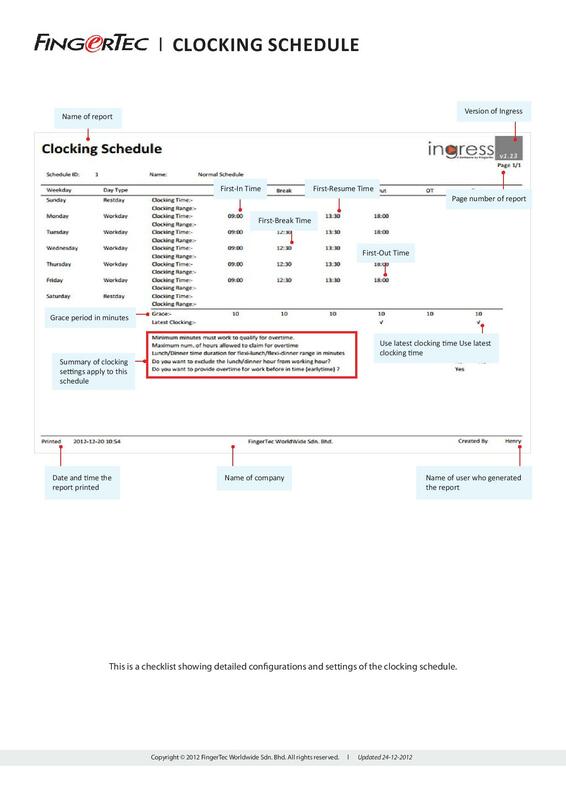 Ingress supports comprehensive schedule settings that include daily, weekly and flexible schedules that give you the power to set start and finish times, decide when overtime is calculated and even automate breaks so staff don't need to clock out and back in for breaks. 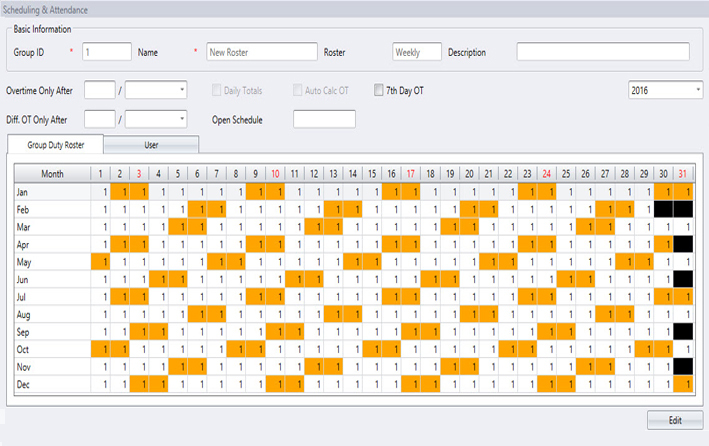 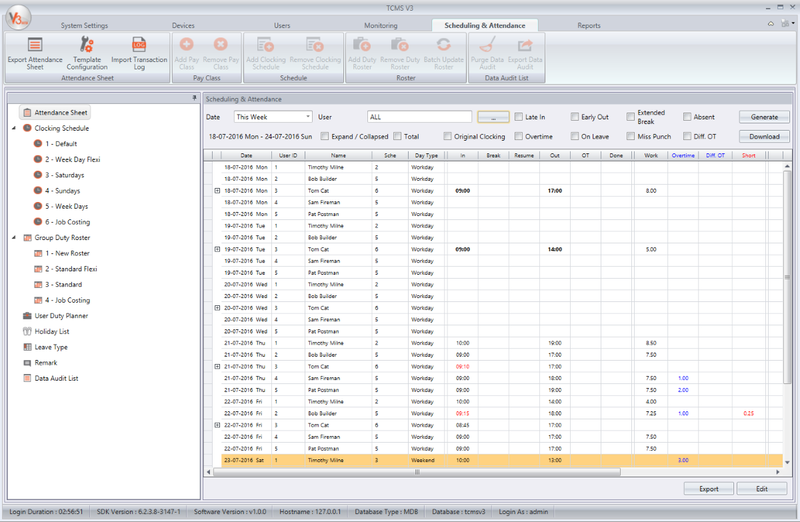 Once assigned to a duty roster your staff attendance will be shown based on the rules you set in the schedules.